Global warming and a growing energy crisis have many would-be homeowners and building operators demanding greener construction practices and completed structures that are more energy efficient. Although the initial costs are higher than with traditional construction habits, using higher standards not only help protect the environment, they also have the ability to save money in the long term. Construction is going green in multiple areas, including building materials, energy usage and construction equipment and in innovative ways that not only prevent harm to the environment, but also help reverse it. One of the most common and effective ways of implementing environmentally friendly practices into construction is by using green products like recovered barn wood that has been re-purposed to build beautiful, rustic wood floors. Home and business owners who prefer new materials, however, often use renewable and local sources, such as wood and plant fibers. Bamboo, for example, is a very green building material because it regenerates itself in a relatively short period of time. Carpets, on the other hand, are on the do not use list, as they are often high in volatile organic compounds. Implementing clean energy practices is another way construction is going green. 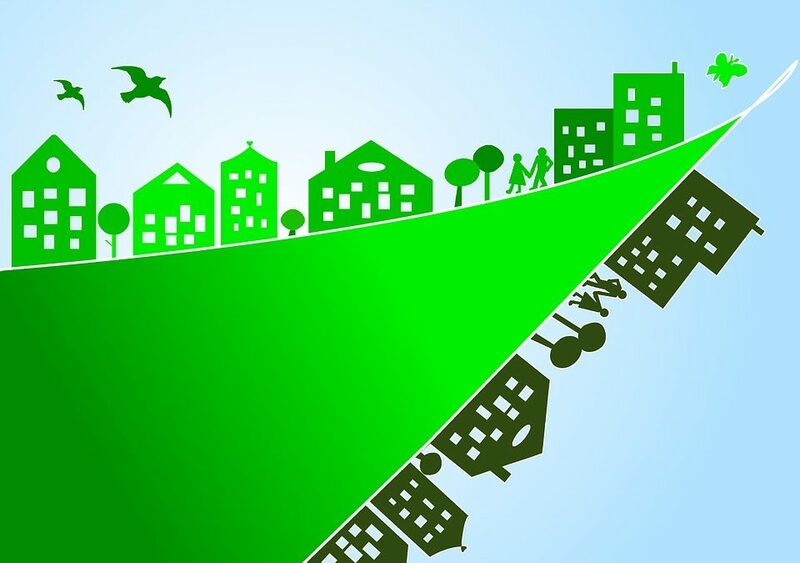 One building and home at a time, carbon footprints are shrinking with energy-efficient appliances, water conservation systems, waste decomposition systems and innovative power sources. For example, supplementing the power system in a new home with rooftop solar panels can save up to 50 percent or more in monthly energy costs and usage. One of the most commonly overlooked ways of making construction more environmentally friendly is by using green construction equipment. The reason for this is because several construction equipment manufacturing companies have fallen behind in creating low emission, energy-efficient equipment. Volvo, however, has been setting a new standard in green construction by providing contractors with the option to purchase high pressure diesel injectors and optimized air management systems that reduce nitrogen oxide and NMHC emissions by 38 percent. Furthermore, Volvo makes it possible to purchase biodegradable hydraulic fluids, rather than traditional hydraulic fluids that can inflict significant harm to the environment if spilled. As green construction becomes more prevalent across the U.S. and around the world, some construction companies and imaginative building owners are using innovative new ways of building new structures. They are taking green construction a step further by focusing on restoration to the environment that has suffered at the hands of unfair building practices in the past. Buildings of the future may follow in the footsteps of the Bosco Verticale in Milan, Italy, which is a high rise towering more than 100 feet above the city that’s covered in plants and trees that will absorb carbon dioxide emissions and improve urban air quality. If these trends continue — and they will — buildings and homes of the future may work in harmony with nature rather than against it. As companies and individuals begin looking toward the future and learning to value the natural environment, better methods of conservation and environmentally friendly construction methods will be created. Perhaps the dream of a technologically advanced world that interacts harmoniously with nature isn’t that far off.